A study conducted by students at the Iowa State University about ethics in agriculture in 2002 was extremely revealing. They found that: Ethical standards in the agricultural sector including co-operatives, agri-businesses and farmers, have declined. Tough economic times on the farm contributed to an erosion in ethical standards. Ethics are essentially values or moral judgements about what is right and what is wrong – and then doing what is right! A business’s ethics are decided on and formulated by the board/owner of the business or the farmer. Ethics should guide every decision made and every action taken by the business. They do not stand in isolation but rather are formed with the understanding that the business functions within a broader society. Although every individual makes a choice about ethics, in actual fact society effectively tells us what is good and bad and right and wrong by rewarding or punishing certain behaviours. Ethics reflect an understanding that every business owner has a social responsibility to: 1) the people who work for him; 2) those he forms business contracts with; and 3) to conduct his business in an environmentally friendly manner which is respectful of the ecosystem! A code of ethics specifies your rules for conducting business. You put them in place and have a responsibility to live by them and continue discussions about them with your team, family and employees. In a large business environment ethics would be discussed under a topic such as ‘Policy and Procedures,’ but this doesn’t often happen in an on-farm environment so it is up to you as the farm owner or manager to talk about ethical behaviour and good business practices. Attention to ethics in the workplace informs your team and business partners how they should and should not act. If you are seen helping yourself in some way that benefits you through devious, deceitful or unfair practices, you can be sure that your employees will not think twice before they do the same to you! For example: If you put farm diesel into you private vehicle which you drive for personal matters and then put in a claim for that diesel as if it was for farming purposes, that is being dishonest and you are stealing from the state coffers. Or, if you are delivering bags of mealies to a milling business which buys 75 kg bags and you instruct your workers to fill them to 71 kg each, then present them at the Mill door as 75 kg bags of mealies, you are skimming and cheating the mill owner – and the employees, knowing that you do this, will do the same to you somewhere down the line! When a business has a reputation for conducting business ethically, it gathers favour with potential partners. In the farming environment this could be with input suppliers, financial support services or even traders who will look at doing business with you more favourably. It has also been shown that a well-managed and ethical business makes for happy employees thus labour turnover is reduced and productivity increases. The other side of the coin is that any unethical behaviour serves to earn a business a poor reputation and damages the reputation of the farmer. This will result in deteriorating relationships with stakeholders and business partners and in a loss of profitability in the long run. Can I or anyone else suffer harm because of my decision or action/s? Can my decision or action/s cause emotional pain? Can my decision/actions harm my reputation, undermine my credibility or damage important relationships? Can the decision/action prevent me from achieving my goals? How do I feel about my action/decision when I look at ‘the man in the mirror’? 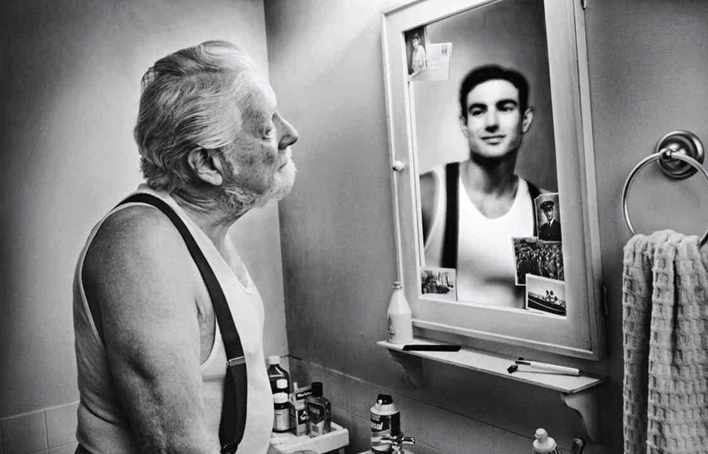 When you get what you want in your struggle for self and the world makes you king for a day, just go to the mirror and look at yourself and see what that man has to say. For it isn’t your father, or mother, or wife whose judgment upon you must pass. The fellow whose verdict counts most in your life is the one staring back from the glass. He’s the fellow to please – never mind all the rest, for he’s with you, clear to the end…and you’ve passed your most difficult, dangerous test – if the man in the glass is your friend! You may fool the whole world down the pathway of years and get pats on the back as you pass, but your final reward will be heartache and tears – if you’ve cheated the man in the glass! Ethics are often in place when things are going well with a business but the first to go out the door during times of stress. Remember that when you have lived according to a high standard of ethical behaviour in your personal life and in your business dealings you will be better able to live with yourself – and you will stand tall among men!